Soutien - Véhicule. Coût: 2. 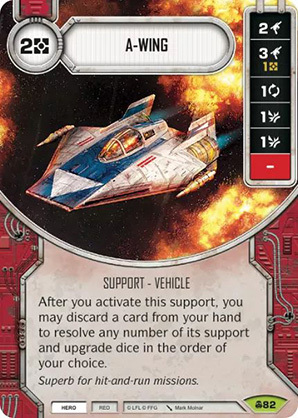 After you activate this support, you may discard a card from your hand to resolve any number of its support and upgrade dice in the order of your choice.